Aquaculture and Aquaponics are NOT the Same Thing! The U.S. government is pushing for increased farm-raised fish production (in order to erase a seafood trade deficit). 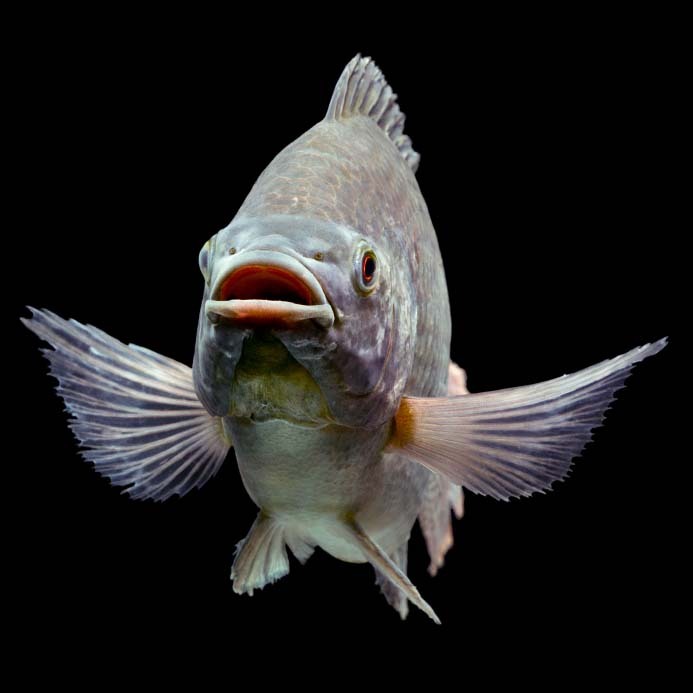 Estimates are that half the fish consumed worldwide will be farm/tank raised by the year 2025. The main difference is that aquaponics’ tank-grown fish grows fish as a primary resource for the nutrients (primarily nitrogen) in the water to grow healthy vegetables. Portable Farm’s technology removes the heavy fish waste from the fish tanks before that nutrient-rich water flows through the grow tables. Aquaponics is the growing of fish, or other water-based animals, along with land plants in a controlled environment, to maximize the use of the energy and nutrients in the system in order to harvest the greatest amount of vegetables and fish protein from the system. The word aquaponics comes from words ‘aquaculture,’ which is the cultivation of fish or other water-based animals, and the word ‘hydroponics,’ where plants are grown in a sterile medium or completely in water. Aquaculture is about the aquatic farming of fish for food. According to Wikipedia: Aquaculture, also known as aquafarming, is the farming of aquatic organisms such as fish, crustaceans, molluscs and aquatic plants. Aquaculture involves cultivating freshwater and saltwater populations under controlled conditions, and can be contrasted with commercial fishing, which is the harvesting of wild fish. Mariculture refers to aquaculture practiced in marine environments. Can the Oceans Keep Up with the Hunt? Particular kinds of aquaculture include fish farming, shrimp farming, oyster farming, aquaculture (such as seaweed farming), and the cultivation of ornamental fish. Particular methods include aquaponics, which integrates fish farming and plant farming. 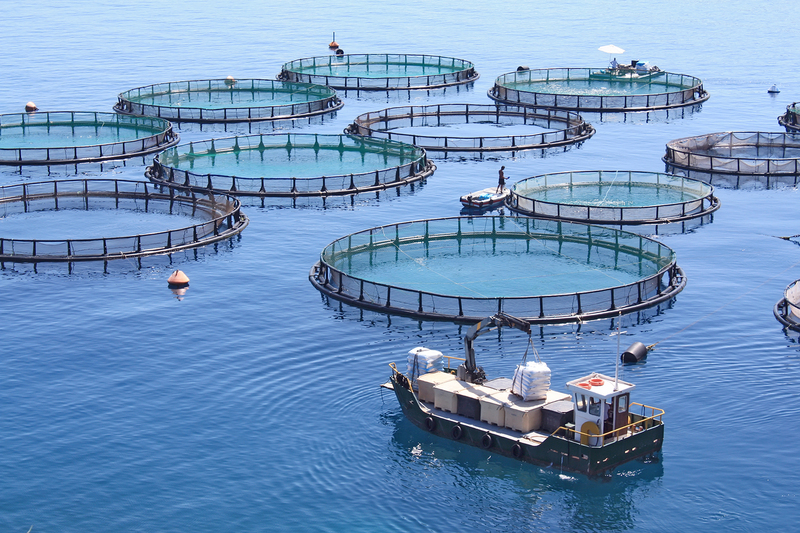 Raising fish in netted cages in coastal water is often promoted as a means of easing stress on overfished populations. But, just like large scale agriculture, it has its downsides. Creating fish feed for farmed fish depletes other fish species and upsets the balance of the ecosystem. Antibiotics and other drugs used in fish farming can seep into open waters. Waste from fish farms can pollute and breed bacteria that are unhealthy to bottom-dwelling sea creatures. Farmed fish are generally less nutritious than wild fish and can contain twice as much of the less-healthy omega 6 fats. FDA studies have shown that wild salmon have a 20 percent higher protein content and 20 percent lower fat than farm-raised salmon. Of course, wild fish often costs more than farmed fish due to the expense of harvesting. And environmental factors can make the availability of wild fish inconsistent. But the health benefits are clear. Thank you very much for your efforts and research in the industry and the information and service you provide your customers as well as the public. I would like to know if or how your system can be adapted to an already running aquaculture farm. The ponds are already producing tilapia, catfish and freshwater prawns. Would we be better using the ponds to feed greenhouses on the side or rather build a greenhouse over the ponds? Your system seems the most effective and I would love to hear about your experience in this conversion. The very short and only partially true answer is ‘yes’ you can convert some freshwater aquaculture systems to aquaponics. The problem is in the details, funding and how good your engineering team is at implementing the change. My learned answer is a bit different: We would need more information to give you a better idea of what would be involved. For instance, volume of fish ponds, projected markets, greenhouse size desired and a few other data points. This type of project has been presented to us on a variety of occasions and when the cost of the greenhouses is noted, those inquiring disappear. The Portable Farms Aquaponics System are not expensive, the greenhouses are the high cost items. If you are serious, have the funding available and a local market, we can have a conversation. Meantime please buy the book Commercial Aquaponics GOLD to familiarize yourself with the terms we need agree upon in our talks. We also suggest you start with a pilot project to train your people, allow for some interesting mistakes and to see if this is something you really want to go forward with in the near future.